I grew up in Melbourne in the southern Australian state of Victoria, where I attended Monash University for my undergraduate degree and a Masters research project on carnivorous pitcher plants. In 2006 I moved to Canberra, ACT. to undertake a PhD at the Australian National University. My PhD project investigated the pollen morphology of the Myrtaceae family using a combination of microscopy, morphological and phylogenetic techniques, and I was supervised by Mike Crisp, Geoff Hope, and Lyn Craven. After finishing my PhD in 2011, I began work as a postdoc for Joe Miller at the Australian National Herbarium based in CSIRO, Canberra. I worked on building large species level phylogenies of Australian Acacia and Eucalyptus as well as many other projects on smaller groups such as Bryophytes, Palms, and Gymnosperms. After two years I began a second postdoc for Darren Crayn at the Australian Tropical Herbarium situated in Cairns in Far North Queensland. I continued making large phylogenies with a focus more on species within a geographical region rather than a taxonomic group such as the plant phylogeny of the Daintree Rainforest. 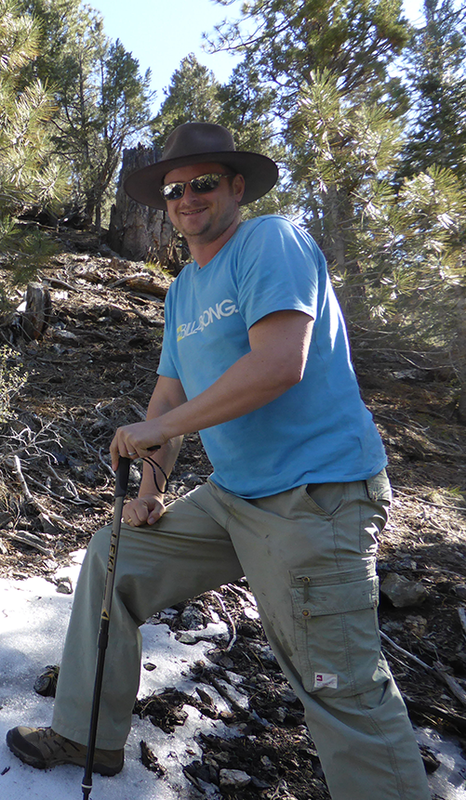 At the beggining of 2015 I moved to the USA to begin a postdoc for Brent Mishler in the UC and Jepson Herbaria based at the University of California, Berkeley. My current project is supported by an NSF grant awarded to Brent Mishler, Bruce Baldwin, and David Ackerly to study phylogenetic diversity and phylogenetic endemism in the Calfironia flora. I am currently working with the group to construct a phylogeny of the Californian vascular plant flora which we will then combine with spatial data available from the online Consortium of California Herbaria. González-Orozco CE, Mishler BD, Miller JT, Laffan SW, Knerr N, Unmack P, Georges A, Thornhill AH, Rosauer DF, Gruber B (accepted in Ecology and Evolution) A phylogenetic framework for assessing biodiversity across multiple taxonomic groups: tools for conservation biogeography. Nagalingum, N, Mishler BD, Gonzalez-Orozco CE, Knerr N, Thornhill AH, Laffan S and Miller JT (2015) Patterns of endemism and diversity in Australia using a genus level Fern phylogeny. Frontiers in Genetics 6:132. Thornhill AH, Crisp MD (2012) Phylogenetic assessment of pollen characters in Myrtaceae. 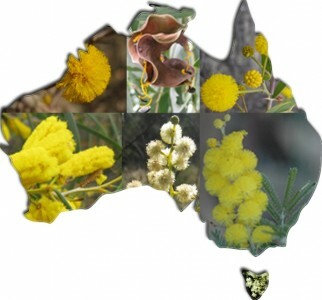 Australian Systematic Botany. 25(3) 171-187. Thornhill AH, Macphail M (2012) Fossil myrtaceous pollen as evidence for the evolutionary history of the Myrtaceae: A review of fossil Myrtaceidites species. Review of Palaeobotany and Palynology 176-177, 1-23. Thornhill AH, Hope G, Craven LA, Crisp MD (2012) Pollen morphology of the Myrtaceae Part 1: Tribes Eucalypteae, Lophostemoneae, Syncarpieae, Xanthostemoneae and subfamily Psiloxyloideae. Australian Journal of Botany 60, 165-199. Thornhill AH, Hope G, Craven LA, Crisp MD (2012) Pollen Morphology of the Myrtaceae Part 2: Tribes Backhousieae, Melaleuceae, Metrosidereae, Osbornieae and Syzygieae. Australian Journal of Botany 60, 200-224. Thornhill AH, Wilson PG, Drudge J, Hope G, Craven LA, Crisp MD (2012) Pollen Morphology of the Myrtaceae Part 3: Tribes Chamelaucieae, Leptospermeae and Lindsayomyrteae. Australian Journal of Botany 60, 225-259. Thornhill AH, Hope G, Craven LA, Crisp MD (2012) Pollen Morphology of the Myrtaceae Part 4: Tribes Kanieae, Myrteae and Tristanieae. Australian Journal of Botany 60, 260-289. Thornhill AH, Popple LW, Carter RJ, Ho SYW, Crisp MD (2012) Are pollen fossils useful for calibrating relaxed molecular clock dating of phylogenies? A comparative study using Myrtaceae. Molecular Phylogenetics and Evolution 63, 15-27. Crisp MD, Burrows GE, Cook LG, Thornhill AH, Bowman DMJS (2011) Flammable biomes dominated by eucalypts originated at the Cretaceous-Palaeogene boundary. Nature Communications 2, 1-8. Thornhill AH (2010) Can Myrtaceae pollen of the Holocene from Bega Swamp (New South Wales, Australia) be compared with extant taxa? Terra Australis 32, 405-427. Thornhill AH, Harper IS, Hallam ND (2008) The Development of the Digestive Glands and Enzymes in the Pitchers of Three Nepenthes Species: N. alata, N. tobaica, and N. ventricosa (Nepenthaceae). International Journal of Plant Sciences 169, 615-624.